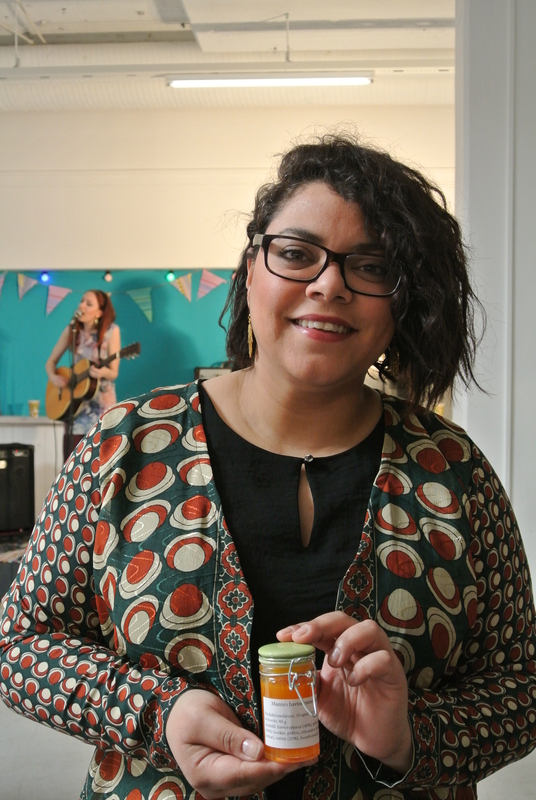 The weekend’s Food Swapping event was a lot of fun. 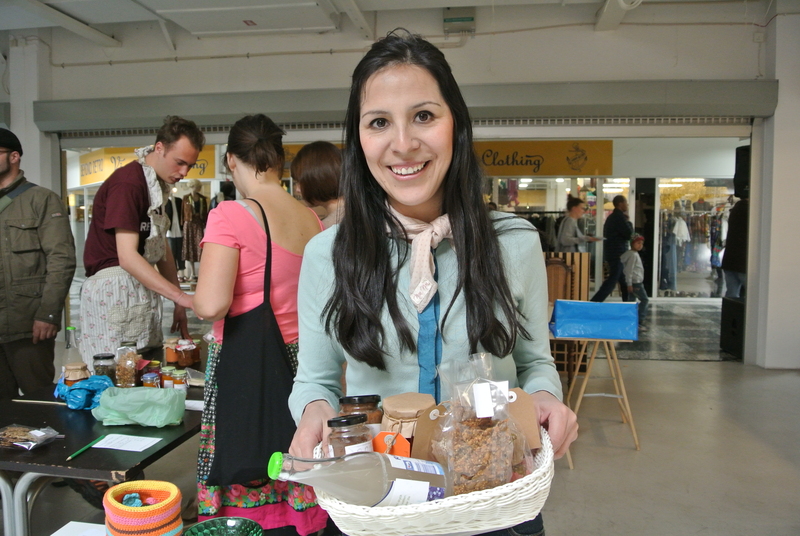 In the middle of Mitt Möllan’s spring market all the swappers loaded the tables with their homemade produce. 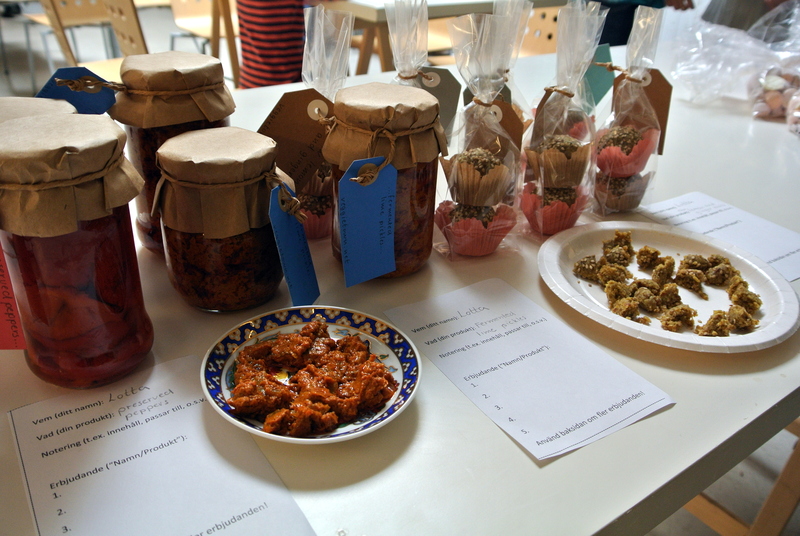 It was a wide range of items with everything from chili sauce to pickled red onion. Curious people were stopping by to find out what all the fuzz was about. 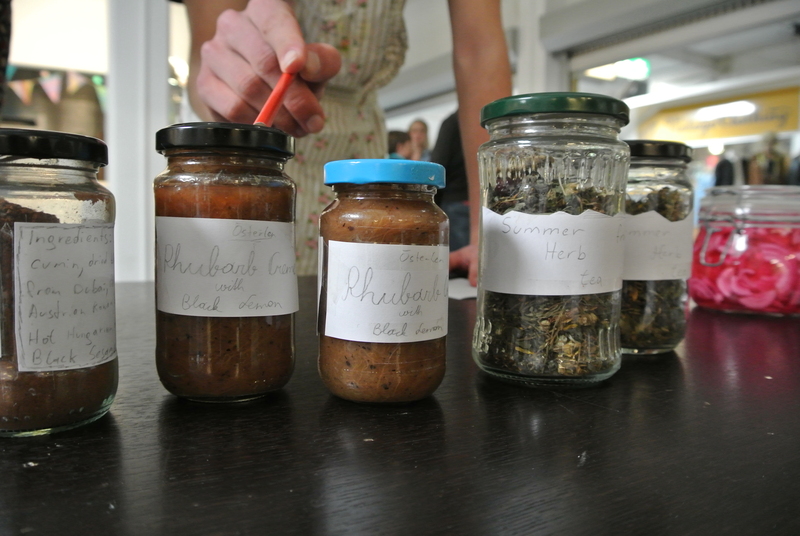 Some of the swappers provided their produce with samples which was very popular among fellow swappers and by-passers. 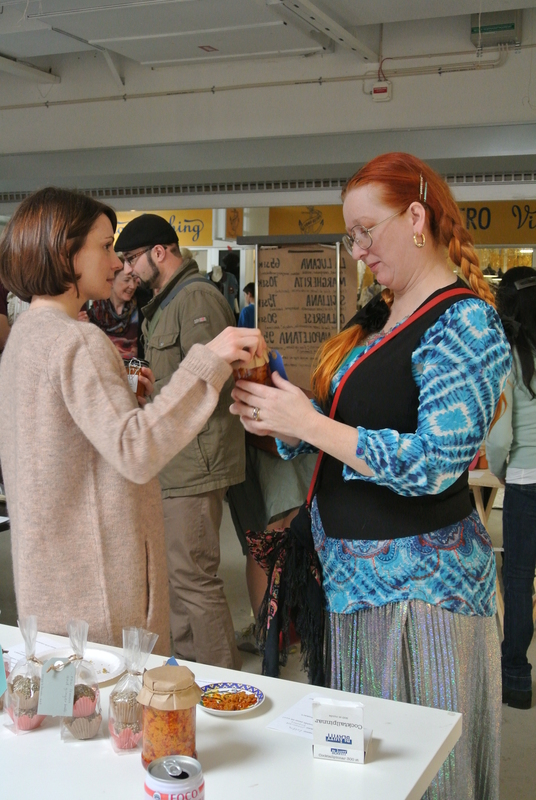 After some mingling, at a given time, the trading begun and I believe everyone went home happy with their swaps. 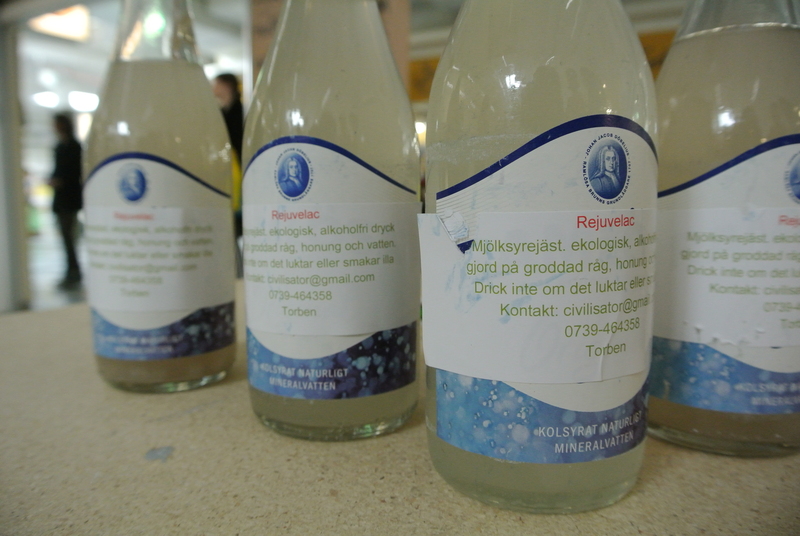 Take a look at the pictures below from Saturday’s event. 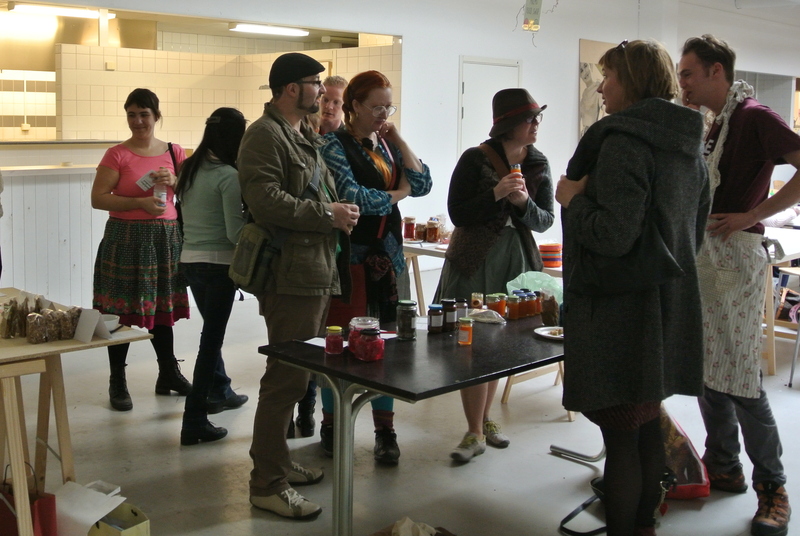 If you wish to know more about Malmö Food Swap and our coming events, visit our Facebook page here. 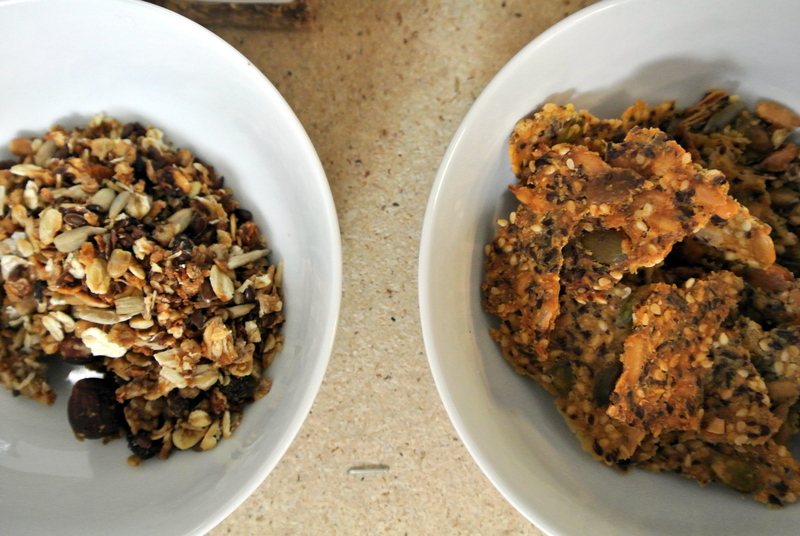 Samples of granola and crackers. 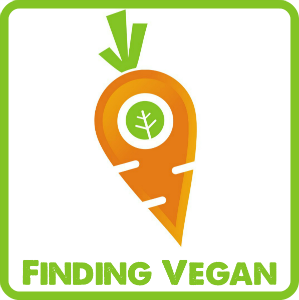 Spice mix and rhubarb crème. 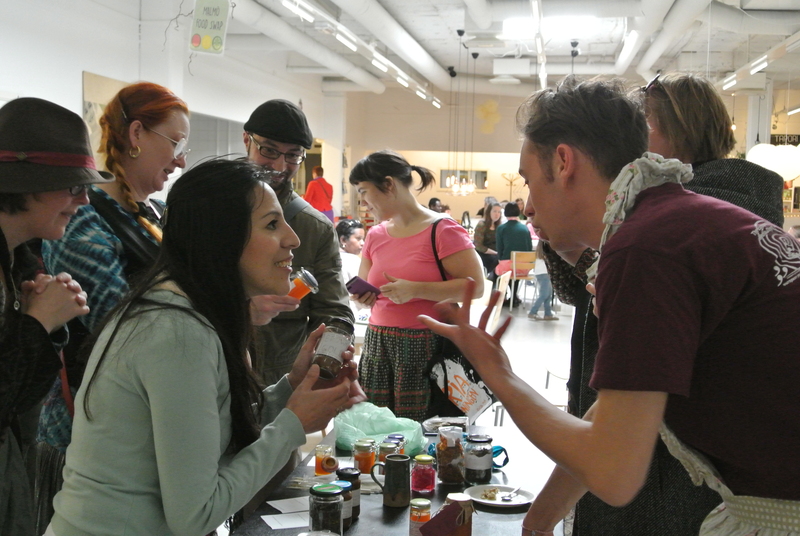 The swappers are mingling and talking about their products. 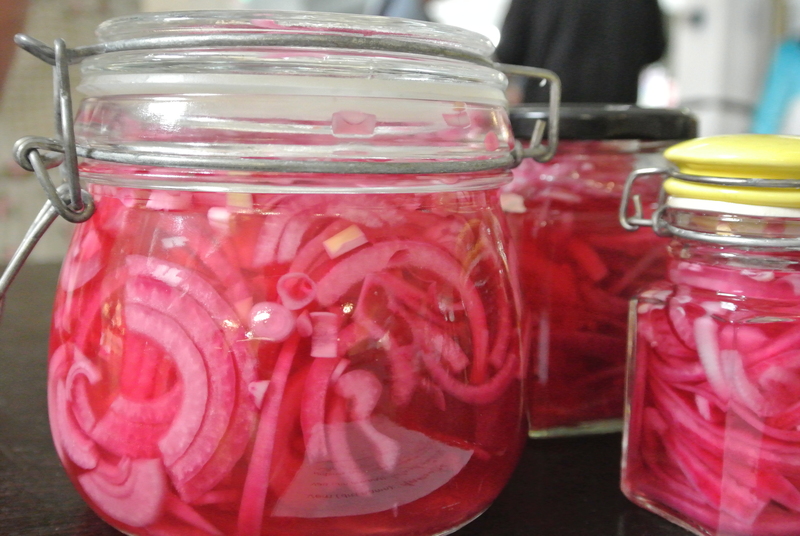 Pickled red onion, beautiful colour. 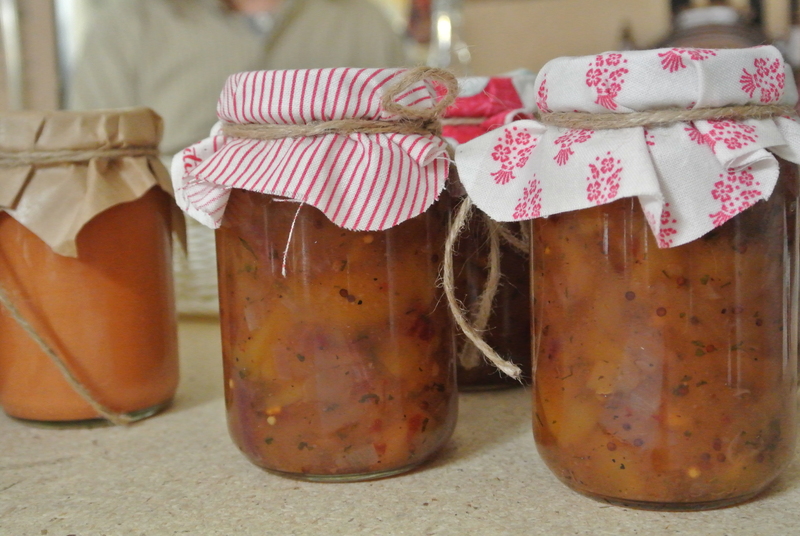 Chili sauce and mango chutney. 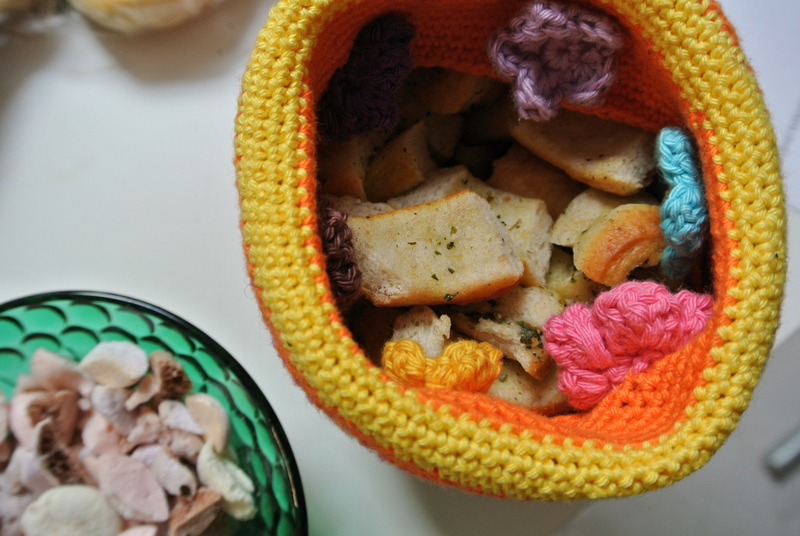 A basket full of delicious goodies.